HEALDSBURG, Calif., Jan. 16, 2019 /PRNewswire/ -- Truett-Hurst, Inc. (the "Company") today announced the appointment of Ross Reedy as Director of Winemaking for the Company, effective January 11, 2019, in which capacity he will now be responsible for all winemaking of the Truett Hurst and VML brands located in Healdsburg, CA and production at Sugarloaf Crush facility located in Santa Rosa, CA. Reedy and his team will be producing ultra-premium Zinfandel from the Dry Creek Valley and ultra-premium Pinot Noir from the Russian River Valley and Green Valley, along with other varietals that round out the Truett Hurst and VML portfolios of wine. 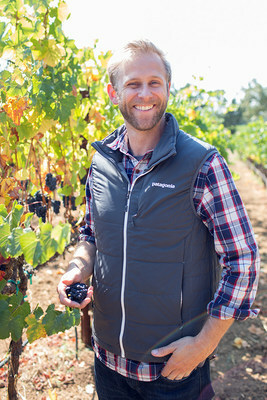 Mr. Paul Dolan, the Company's Chief Executive Officer stated, "Ross is a phenomenal winemaker who has a unique feel for tending to the natural expression of each of his blends. I am very proud of his accomplishments over the past seven years as assistant winemaker with us and look forward to working together with Ross in this new role." Reedy began as a cellar assistant in 2012, and considers joining Truett Hurst and VML Winery the best career decision he's made. "I get to work with inspiring people, my job is dynamic and challenging, and I really love the wines we make," says Reedy. He became fascinated with the craft as a teenager, while making wine at home with his father in San Jose, CA. Reedy studied Wine and Viticulture at Cal Poly San Luis Obispo, while simultaneously gaining real-world experience at a boutique winery in Paso Robles. After graduation in 2005, he traveled the world- chasing the perfect grape harvest. Stints in cellars, vineyards, and winemaking labs across Australia, New Zealand, Argentina, and Napa Valley eventually led him back to Sonoma County, where he accepted a permanent position with Truett Hurst and VML. When he's not immersed in the creative exploration and the technical challenges of making ultra-premium pinot noir, chardonnay and zinfandel, Reedy can be found spending time with his family, playing guitar, and fishing.